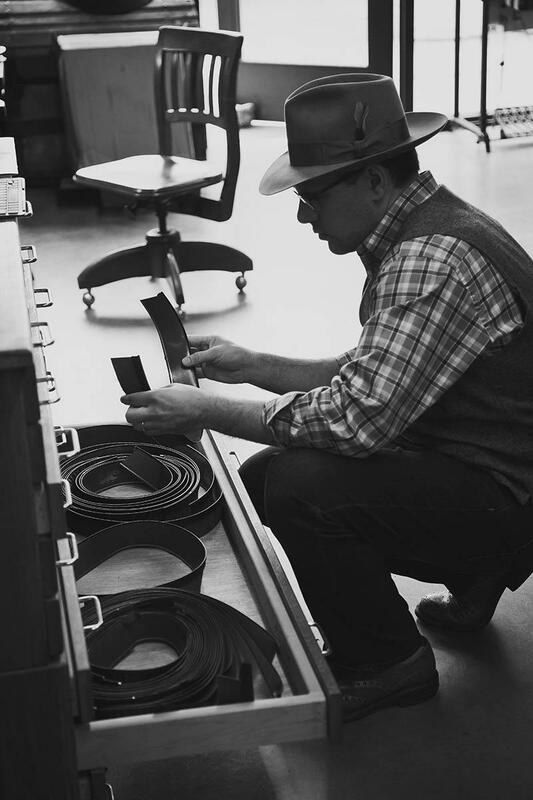 Each hat is cared for just the same as the next with precision and respect. 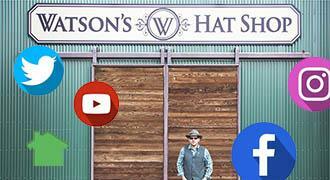 At Watson’s Hat Shop we offer some of the finest pure beaver fur felt hats! 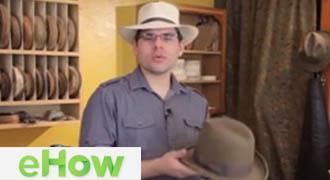 Also, you will find that we make our hats from the finest Panama hat bodies (hand woven in Ecuador). 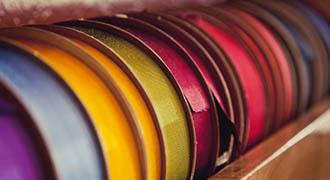 You can choose from up to 29 different colors, and 80 different types of ribbon in various widths. 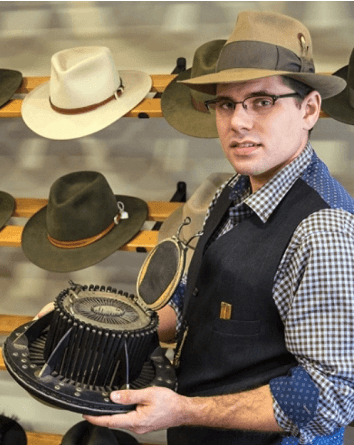 Also, we have custom leather hat bands, braided horse hair hat bands, custom silver and gold hat bands with your choice of gem stones, and braided kangaroo hat bands, and custom silver hat band buckle sets. We can even customize the hat band with your ranch logo, racing logo, or a special design. 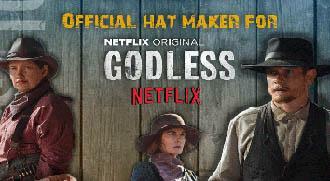 Maybe there is a favorite movie or hat that you would like made? No problem, just stop in and let me know exactly what you would like. If you’re not sure, what hat may look good on you and fit your face and body features then leave it to me. This is where my artistic ability really comes into play. 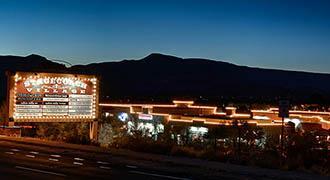 Together we will customize a great looking hat that you will love and be proud to wear for a long time. 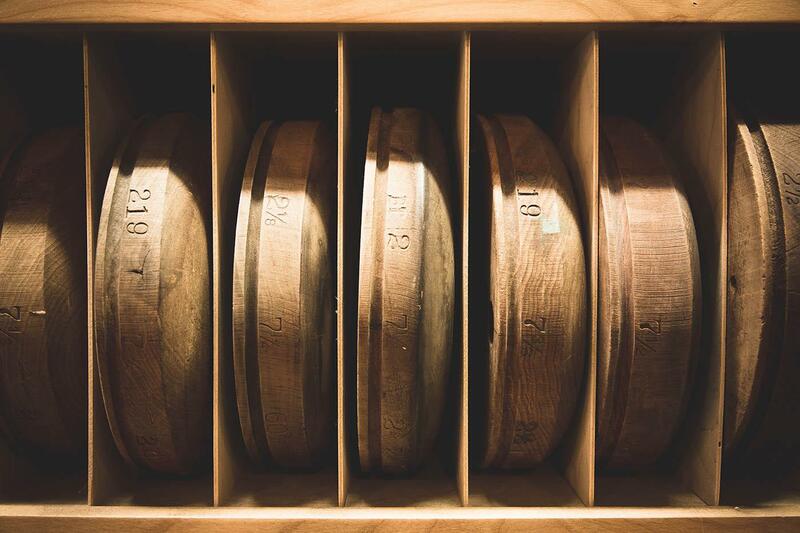 This is what we use before the hat making process begins. 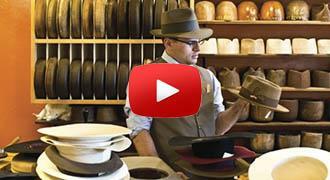 The same process that custom hat shops have been doing for nearly 200 years. At Watson’s we hand select our premium made leather sweatbands. Our sweatbands are made with premium vegetable tanned goat hide as well as premium natural calfskin for our hand carved leather sweatbands. 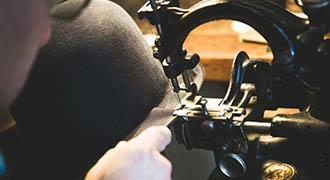 This machine is used specifically for sewing the leather sweatband into the hat. 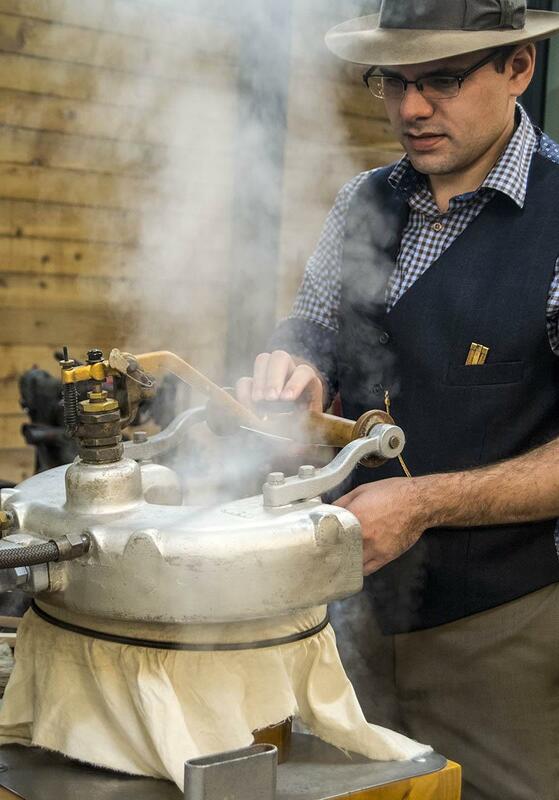 I use this machine to ensure the same high quality stitching that was done nearly 100 years ago. Used to take a template of the customer’s head shape to ensure a perfect fit. 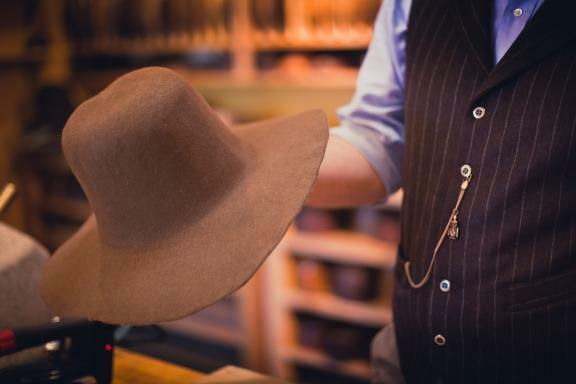 This rare piece of equipment when used correctly ensures an excellent fit just for the customer’s custom hat. 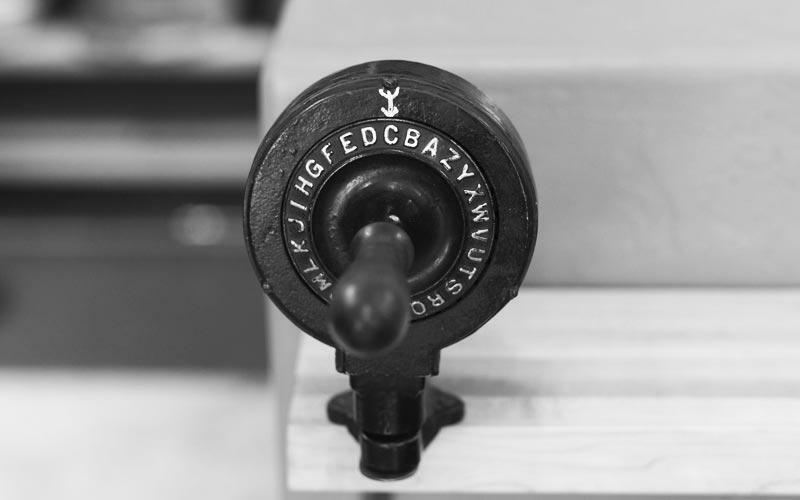 I use this machine to perforate perfect letters into the leather sweatband just as hatters did 100 years ago. By perforating the customer’s initials into the leather sweatband this ensures that the customer’s initials are permanently inside the hat. 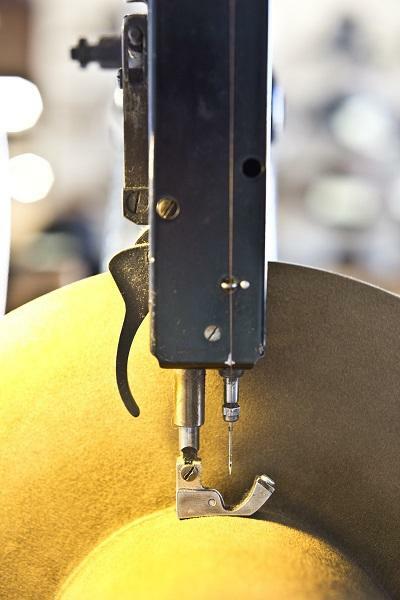 This hat making machine is essential to making a high quality hat that will last a lifetime. 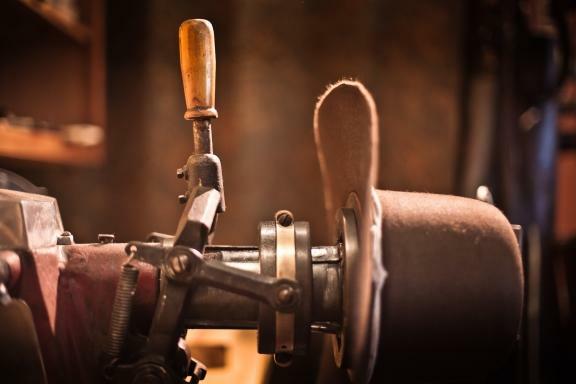 Made in the early 1900’s from very heavy and strong cast iron this machine is used to condense and mold the fur felt blanks on the hat block. 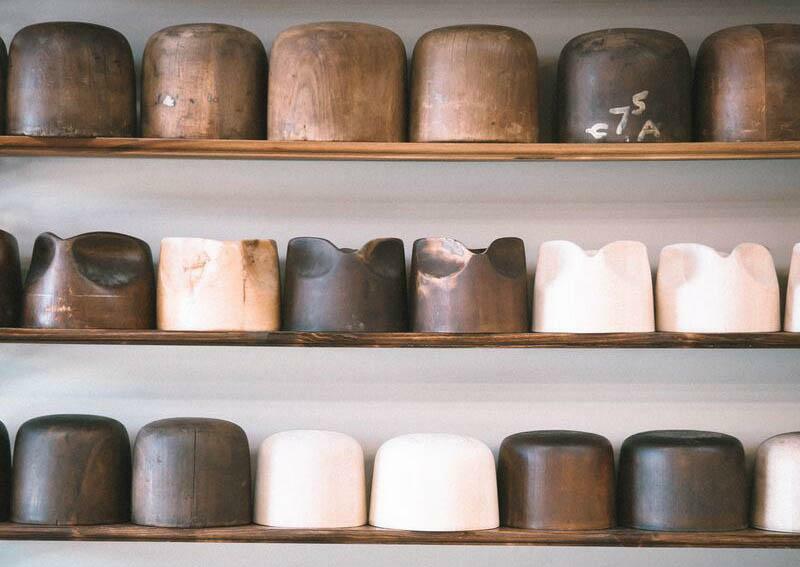 At Watson’s we have hundreds of Hatter’s Brim Molds, so we can make you whatever brim shape you would like. 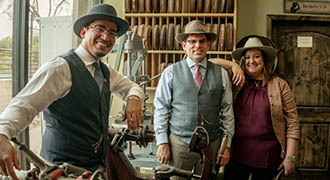 Most of the collection of hat making equipment came from two old hat shops and one of them, which was the longest operating custom hat shop in the United States. 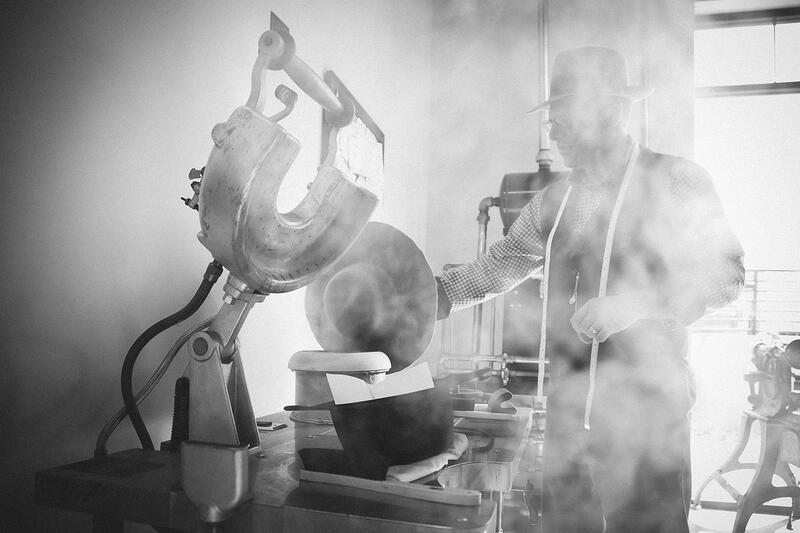 Made in 1926 this steam table is used throughout the entire hat making process. 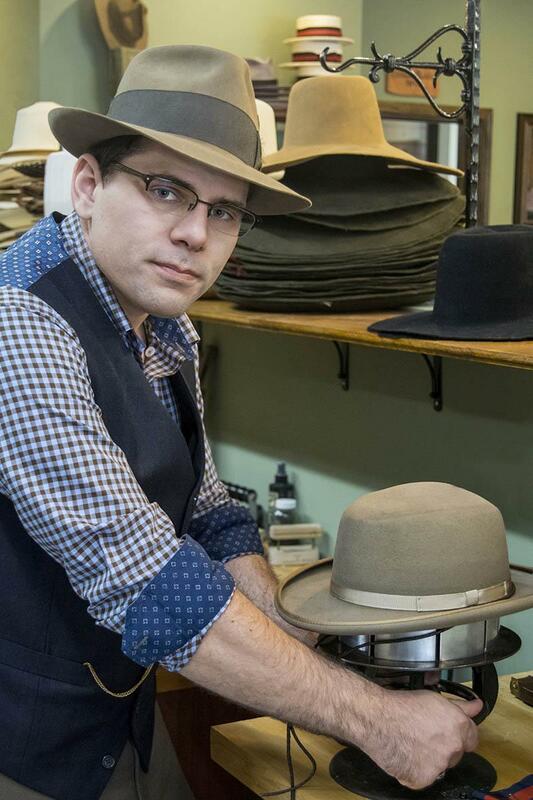 Is essential to making fine custom hats. Used during the hat blocking process, shaping, and brim shaping process. 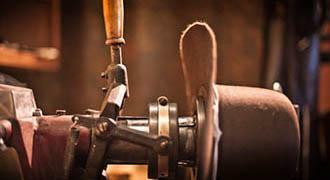 This hat block stretcher machine is nearly 140 years old and used to perfectly stretch the crown of the hat. 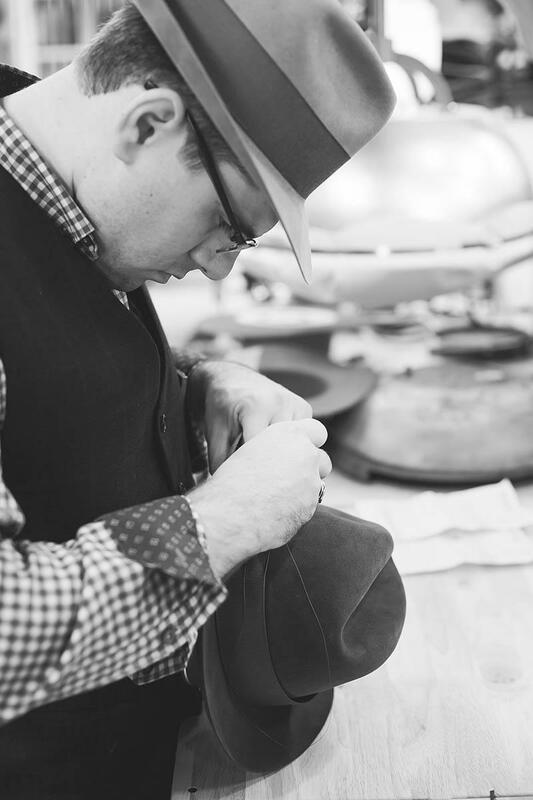 At Watson’s Hat Shop we sew every hat ribbon on the hat by hand. 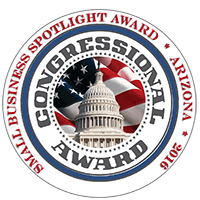 The same way that hatter’s would sew ribbon around the hat back in the day. By doing it this way our ribbon work looks great without seeing stitch marks that a factory sewing machine would leave.